The Prattville YMCA hosts a women’s bible study on Tuesdays from 12:00 – 1:00 P.M. Our Fall bible study will be part 1 of an inductive Bible study on Revelations. 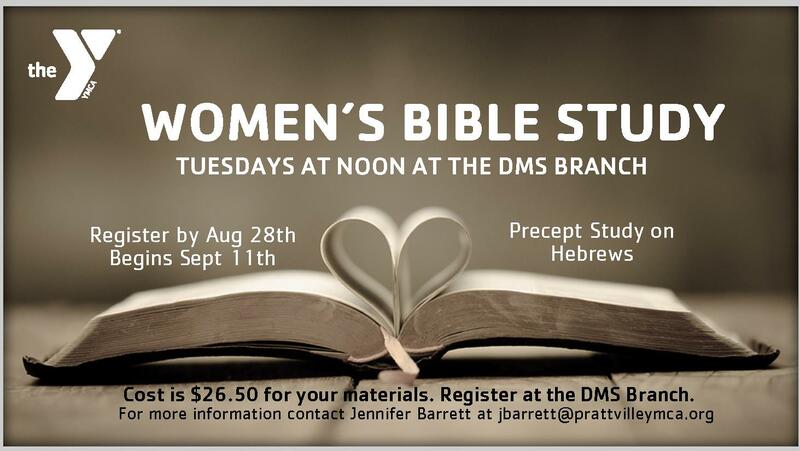 This Bible study will meet September through December. Contact Jennifer Barrett at jbarrett@prattvilleymca.org for more information. 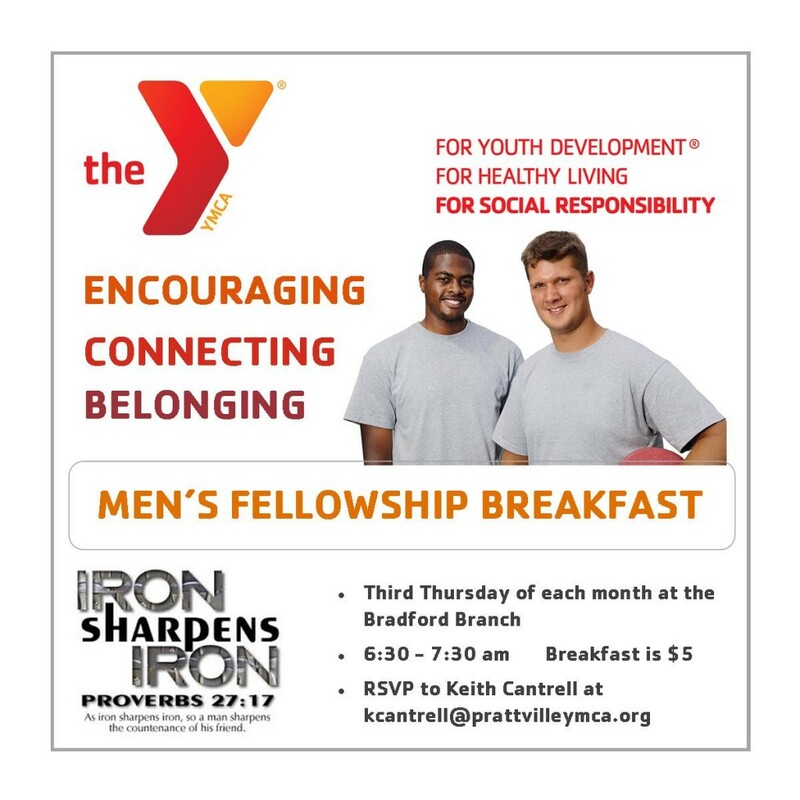 Join us on the third Thursday of each month at the Bradford Branch for our men’s fellowship breakfast. You will be encouraged, you will get connected, and you will have a place to belong. Email Keith Cantrell at kcantrell@prattvilleymca.org and get added to the email list for your monthly reminder! Breakfast is from 6:30 – 7:30 A.M. and is just $5!